Happy August. I am amazed at how fast July went, and am actually feeling a bit overwhelmed at the idea that it could be cold and snowing in a few months again. I have been trying to soak in as much of the mild weather and sunshine as possible, and walking to and /or from as many destinations as possible as well. I have had a few gluten free “mishaps” as of late, and I wonder if that will just always be the case. Even though I consider myself to be well versed and experienced in being a gluten free shopper and diner, I still continue, on occasion to somehow mess up on the focus I need to apply to my other food intolerances. I feel like if I had been able to maintain just the necessity of being gluten free, life would be a total piece of gluten free cake right now. And I even think gluten free + dairy free I could keep up with. But as my intolerances continue to grow, it just gets overwhelming. Prime example will be when I find something at a restaurant, or the store, or even something someone has baked for me, and it is something I used to eat and love before going gluten free. I think that the emotional component and attachment to that particular food will drive me to see what I want to see, and completely forget the rest. It also happens sometimes when I am faced with that dialogue with the server or chef at a restaurant, too. Gluten free is always THE most important thing I want to convey. Dairy free comes next. But then everything else, depending on the anxiety level of the situation, or the complexity of the dish, can sometimes get forgotten. I was so excited recently about a dessert at a gluten free bakery that I completely forgot to ask THE most important question before even considering ordering. WHAT TYPE OF GLUTEN FREE FLOUR DO YOU USE? Because the thing is, if it is potato (which is pretty common), I cannot have it due to my reactions to nightshades. I mainly just wanted to share that while it does get much easier, there are still challenges. And I feel like I almost need to be carrying around a special laminated card in my wallet to refer to in these situations. The most important thing, is that I finally have learned to be kind to myself when this happens. In the past I would beaten myself up over it. Now I know that I am doing the best I can. And even in the situations that are not optimal, I almost always realize something, or come out of it with a new perspective. All of these obstacles and learning experiences are ultimately pushing me towards a new adventure. I have not quite figured out what that will be. But the thought of it motivates me to keep pushing forward, and reach out to as many other people in this gluten free community that I can. 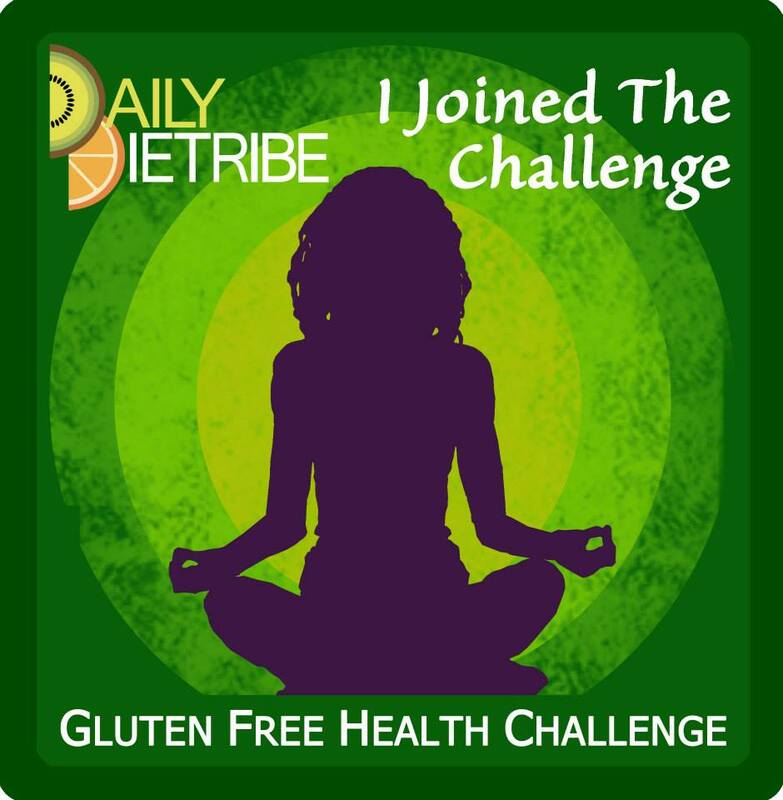 I have already learned so much from my involvement thus far in the Daily Dietribe’s Gluten Free Health Challenge. And with each passing day, someone who I have connected with through the challenge has inspired, comforted, or educated me. This journey is definitely one that I am thrilled to be on. Now I am off to mentally devise some future potential travel plans to a city where I can easily eat gluten free ! I have signed the following pledge, per my participation in The Daily Dietribe Gluten Free Health Challenge. All of these words rang true to me over the past few years, as I have faced various health struggles, increasing food intolerances, and new obstacles that seemed to block my path to wellness. However, the one thing I had NOT done, was to reach out to others, seek support, and share my experiences. Thanks to the inspiration of Iris Higgins (AKA Your Fairy Angel), http://www.yourfairyangel.com/meet-your-fairy-angel.html, and her blog The Daily Dietribe, http://www.thedailydietribe.com/, I was prompted to enter The Gluten Free Health Challenge. This is going to be a very interesting adventure for me, as everything I have done thus far, has been between myself and my very patient, loving, and supportive significant other. There are a handful of folks who know the tip of the iceberg category information. But the whole story has been too much to share, bear, or even explain in most instances. Starting today, for the next 6 months, myself & 6 other women will be working with health coaches assigned to each of us. Every Tuesday I will have something to share via the blog post on The Daily Dietribe. Each of us participating in the challenge with our coaches, along with all of those who have decided to join along with us, will be sharing, seeking support, learning new recipes, and hopefully learning as much as possible about ourselves, and in relation to how we can each nurture ourselves for the long term. (You can join here: http://www.thedailydietribe.com/p/why-join.html ). Please join me for this challenge. I am so very excited to be a part of this, and hope we can all reap the benefits of this opportunity.